Last month we were so blessed to have Angela Peterson share her passion with us about her journey as well as her expertise on the Chakra’s. “Chakra” is defined as whirlpool or vortex. These seven points of energy have specific colors, vibrations, lessons and sacred truths associated with them. Angela gave us a beautiful explanation of each chakra and a story along with each so that we could easily relate and understand the lesson for each chakra. Angela started out telling us about some myths, including the one that says “It takes a long time to heal.” She gave us creative suggestions on challenging our beliefs and asking ourselves if this belief is creating fear or faith, then we can choose what beliefs serve our highest and best purpose. 1st chakra, also known as the root chakra, is about tribal beliefs. The things you learned as a child in the very beginning of your life that may or may not be true. Many of the personality traits, defenses and “it’s just the way I do things” attitudes come from this root chakra. The sacred truth is that “All are one”. I love this thought!! 2nd chakra is about relationships. All relationships are to teach us a lesson. Watch for the mirror in your relationships with all those around you. What you see and admire in others is also within you…. what you see and it annoys you in others is also within you. In each relationship ask yourself what can you teach and what can you release? What an amazing way to look at each and every relationship we encounter. 3rd chakra is about personal power. This chakra focuses on how to honor yourself and in doing so, honoring one another. This power center has a lot to do with self esteem and our personality. The sacred truth of this chakra is to honor oneself and acknowledge you are intuitive. Yes I am!! How about you?? 4th chakra is about love, forgiveness and compassion. This is where our heart is and it mediates our physical world with our spiritual world (makes total sense!!) Angela told us that it is against our spiritual nature to act against love …. Totally loved this!!! She also told us that “Joy is seeing the Divine in everyone and everything. All of this energy is in your fourth chakra. The sacred truth of this power center is “Love is Divine Power.” Mmmmm….. now that’s yummy!! 5th chakra is about lessons related to will and self expression. This is where we learn to trust God/Divinity. This is where we can heal our fear and replace it with faith. In this power center we can call back pieces of our soul, feel more and more safe as we heal and relate more closely to the serenity prayer. The sacred truth of this chakra is “Surrender personal will to Divine will. Awe…. Deep breath…. Nice!! 6th chakra is all about lessons related to mind, intuition, insight and wisdom. This is where we tap into our Visionary. Angela let us know that this is where we can overcome our fear of change and that resisting change can actually be harmful to our body. I love her suggestion of, “Let’s make change beautiful…. Not stressful! Let’s be open to new life, new perceptions, new beginnings and detach from what no longer serves us.” Angela also suggested we really think about our thoughts, she suggests that “Junk thoughts are just as bad as junk food!” Amen sister! 7th chakra is our Spiritual Connector, also known as our crown chakra. This is where our connection to the Divine enters the body and activates all the other chakras. This power center is about grace, prayer and meditation. The sacred truth of this chakra is “Being present” and using the present moment to tap into your power. OH YA!! This night was absolutely spectacular and I learned so much that night as well as just reviewing my notes for this recap. After all this wisdom, Angela guided us into the most beautiful meditation I have ever been a part of. Her sweet, calming voice invited my spirit to journey to a garden with a magical waterfall as she went through all the chakra’s and engaged them within each of us. I hope that we will be blessed with her recording this beautiful mediation for us one day. To say the least, the evening was magnificent and for me it was just that much sweeter as I visited her the next week for my own personal Reiki session. 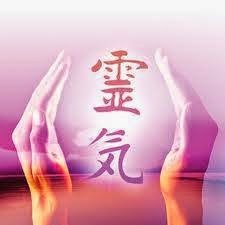 Angela’s Reiki is more than traditional Reiki. She combines energy healing that aligns and balances the chakras with her intuitive gifts of receiving divine messages. I had a wonderful session and was once again awed by the beautiful grace of this woman. To top this all off, Angela is offering a special to our Women’s Circle of an introductory special of $35 for your first Reiki session with her. You can find her on Facebook at The Beauty of Reiki by Angela Peterson or email her at mystic.owl33@gmail.com. I recommend her so highly!! It was a wonderful experience!!! Thank you!! Thank you for sharing so much wonderful information with our circle and thank you so much for this gift you are offering. Make sure you mark your calendars for this coming Monday to experience Lori Coombs Ames. Lori will be sharing her journey to wellness. She will be showing us a wonderful daily ritual taught by the Tibetan Monks as well as the Spirituality of food and exercise. For more information, visit our Facebook page for Women’s Spiritual Circle. See you soon!! !